After my interview with Feargus Urquhart at Krakow's Digital Dragons conference, I asked him if I could get an interview with a famous new Obsidian employee: Leonard Boyarsky. Feargus kindly agreed, but noted that there was probably not much he could talk about now because he had just started working on a new project. I decided to go through with it anyway, gathering a list of questions from the Codex community and sending it out. A few weeks later, I received Leonard's replies. 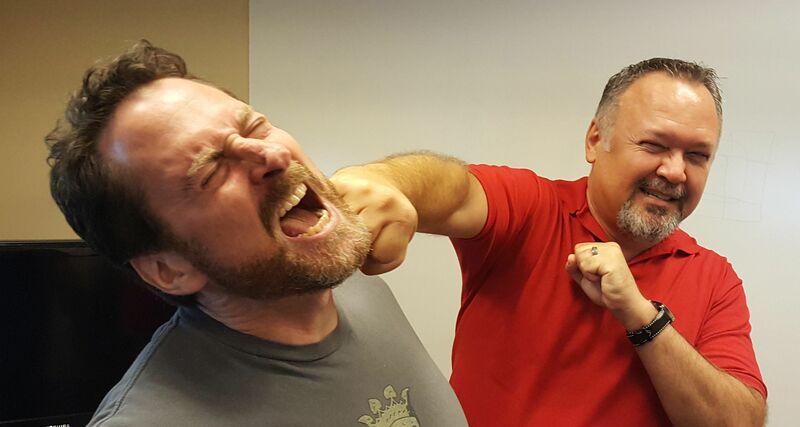 The whole thing was handled by Mikey Dowling, Obsidian's excellent social media manager. I am very thankful to Leonard, Feargus and Mikey for enabling this to happen. So here you have it, the first interview with Leonard Boyarsky after his move to Obsidian. What do you think are the largest differences between working with a small company (relatively speaking) like Black Isle or Troika and a leviathan like Blizzard? Since you and Tim are back together now, has there been any contact with Jason Anderson? Are you still friends? Any pipe dreams of getting back together? We’re still friends with Jason, we get together for a Troika lunch a few times a year. If you, Tim and Jason were to make Fallout from scratch now (pretending it never happened), with all the experience you've accumulated since the 90s, how different do you suppose it would be from what it was? Do you think there's too much focus on balancing everything to perfection in modern games? Has your time at Blizzard broadened your horizons on what a modern video game can achieve? If so, can we expect to see a different approach in your current and future projects compared to your time at Troika? Now, after years working at Blizzard and seeing the market change radically (Steam, indies, Kickstarter, etc), do you believe that's still the case? Since the collapse of Troika, have there been any games with an art style that appealed to you as an artist? If so, what are they? · Bioshock and Bioshock Infinite - felt very akin to the FO/Arcanum aesthetic to me in a lot of ways, and I obviously have a lot of love for both the retro and steampunk genres. · Dishonored - great job of stylization over photorealism, making their characters and world realistic and painterly at the same time (something we tried and failed to do with our characters in Vampire), plus an interestingly different take on a steampunk type world. · Wolfenstein New Order - Hmmm... I'm sensing a trend here... loved the feel of their world. These are all beautiful games in their own right, but they're also all very original and different, which is usually a huge part of whether a game's art appeals to me or not. Being both an artist and a narrative designer, how difficult is it for you to combine meaningful gameplay mechanics with an artistic vision? In which of your games do you believe you achieved both in the most successful way? Was one ending slot reserved for a Sabbat expansion or something similar? 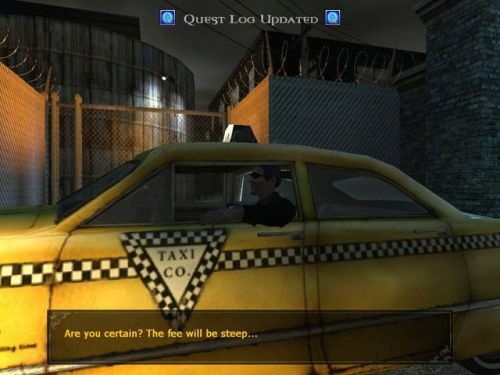 Was the Cabbie intended to be Caine before White Wolf changed it in the Gehenna book? Did you include the cut assets because you planned to do expansions later on? Was Jack inside the container on the Dane or did he enter the ship near LA? Who was writing the emails "from a friend" to the Bloodlines player? What maps were cut from the game besides the library one? Did you ever think about making the game playable after becoming a Mutant or it was always supposed to be the end after the Vault 13 assault cutscene? There was a cut location called The Irvine Utopia. It was supposed to be a city run by robots who controlled the human inhabitants with an iron fist. They upheld strict rules, but the city was in a pristine pre-war state. It also had Brian Fargo's car and the skeletons of Black Isle employees. What questlines and interactions were going to be implemented there? Was it cut due to time constraints or was the tone too silly? Fallout was planned to be the first of a series of GURPS games. While you were developing it, what other games in this series were you thinking of making? 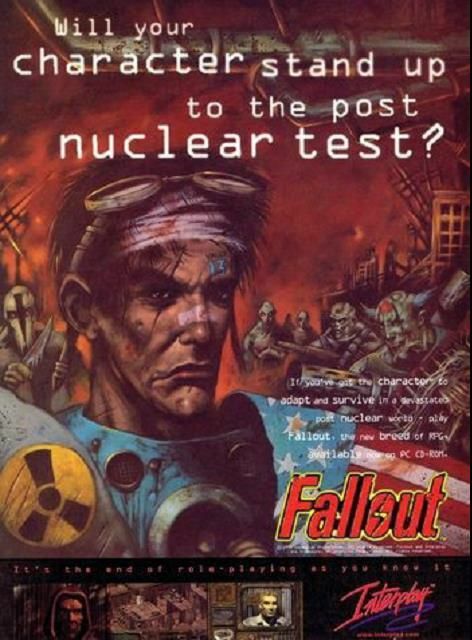 In the promotional poster for Fallout included above, the Mutants are hairy, have different faces and look more agile. Why was this design changed? Were there any other big changes to the design during the game's development process? How did the early drafts of the intro and outro movies look like? How did they change and why? 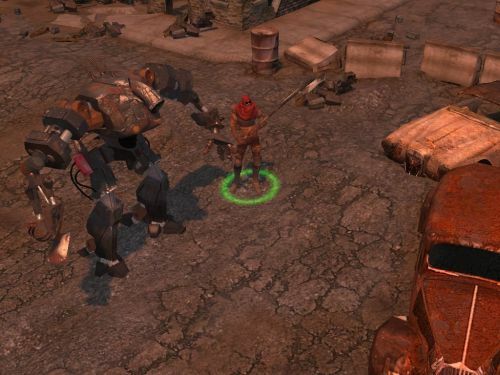 Early drafts of Fallout 2 included the Master's Army mobile fortress as a location. Could you tell us more about it and its impact on the game's plot and lore? Do you know why it was cut? It wasn't the Master's, it was the BoS mobile command center. They created/ran the lobotomite army that was an early threat to the player. The 'Fallout #2' comic cover loading screen was an illustration of a scene we had envisioned where the player was being overcome by lobotomites when a desert ranger showed up to (hopefully) help. It came from the first draft of the FO2 story: The BoS and Vault 13's overseer's descendant (and a small group of elite leaders) had made a secret alliance to exchange tech for weapons, safety, etc, and you had to expose or stop them. It was decided that it wasn't strong enough, so we scrapped it and came up with the version that actually was made. A year ago, a design pitch for Journey to the Centre of Arcanum was discovered. What was your vision for the game? Tim said there were many concepts for it at the time. The only idea we were committed to was a First Person RPG set in the World of Arcanum, based around a Jules Verne type adventure, with a bit of mocking the Victorian colonial attitudes, etc. thrown in for fun. Everything else was just initial brainstorming and trying to come up with the right buzzwords and phrases to get a publisher to fund it. Do you have any unpublished concept art, drafts or design documents for Fallout or any of the Troika games in your vault? Even if they're not as good as the ones that were released, it would be beyond amazing to see them!